Creating a powerful space for companies to connect with their employees and consumers regardless of scale or location. We deliver convenience, flexibility, and profitable value to how you work. Whether furnishing a single room or large corporate space, access to custom and curated furniture will transform and inspire your environment—helping turn people into believers. Industrious is changing co-working spaces in a big way. Working side by side, Rypen played an integral role in ensuring the Industrious team rolled out their beautiful new locations and successfully upgraded existing locations. Rypen provided Industrious with custom product design, product development, product manufacturing, account management, project management, procurement, warehousing, logistics and installation management. 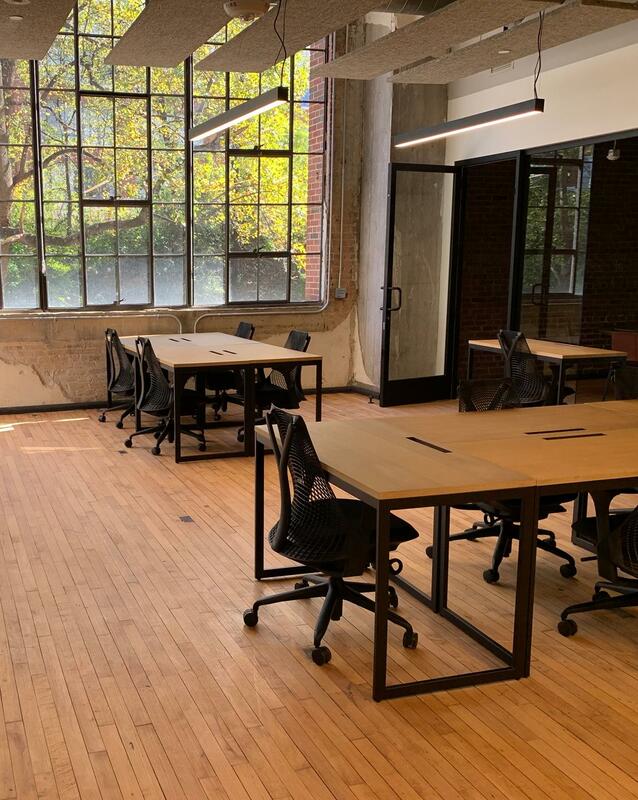 Rypen's innovative and intuitive approach assisted in opening over one million square feet of inspiring co-working space designed by Industrious. We ask lots of why's. We study your space. We collaborate. We assess your needs to best convey our approach before customizing product designs in lighting and furniture. We're on your team. Send a floor plan with measurements or a napkin sketch with none. Your building manager, landlord, or architect should have this handy. Rypen can take it from there and ensure a smooth design process—start to finish. Purchasing and production management are critical for the process. We ensure your deadlines are met without sacrificing quality or workmanship. Logistics is part of our DNA. We’ll ship, store and install on your schedule—setting the stage for your day 1. Ordering is easy and your goods will be constantly tracked with the latest barcode, portal and asset management technology. We’re a click away when you need us. With a Rypen professional to facilitate every piece and product going into your refreshed workplace, you’ll realize how simple we make furniture fulfillment. However large or elaborate your space, we are committed to providing designs that suit and inspire how and where you work. Want to know more? Reach out and we can answer all of your questions and determine the best way to create an inspiring space.